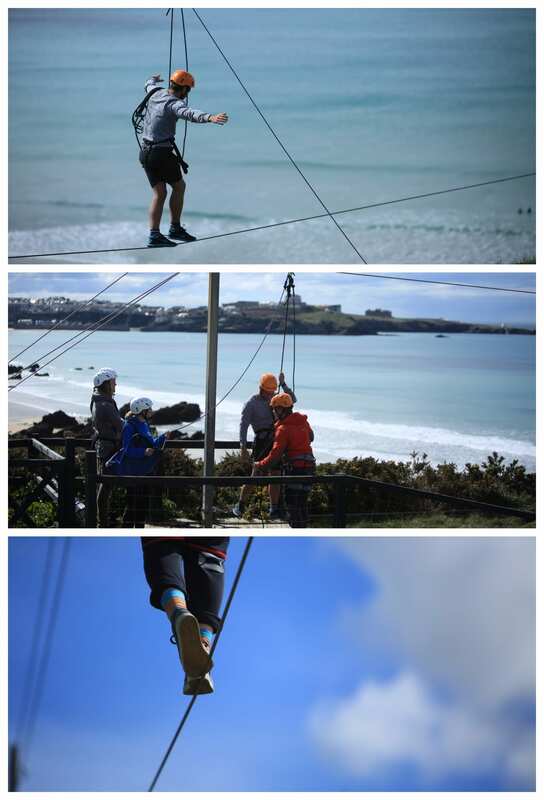 Stretched between two high points on the cliffs, our Terror Tight Rope at Lusty Glaze beach gives a superb panoramic view of Newquay from an estimated 100ft up, if you’re brave enough to look! First of all, you will be briefed and then safely harnessed by an instructor before stepping on to the tight rope. You will then walk from one cliff to another, high above the beach below. Trainers and loose clothing must be worn on the tight rope to ensure freedom of movement. You will need a minimum of 10 people in your group to book this activity. After the Terror Tight Rope why not try one of our Mini or Ultimate Jet Ski Safaris?